Studio Modijefsky has completed the interior design, logo and identity, website and menu design for Smokin’ Barrels; a restaurant and bar in the east of Amsterdam. The main concept in designing the interior is to create a central element in the space, a beating heart that becomes a focal point in the restaurant. This has been realized by creating a barrel shaped bar in the middle of the restaurant. Accessorized with a custom-made glass rack and beer station a dominant central feature is made. 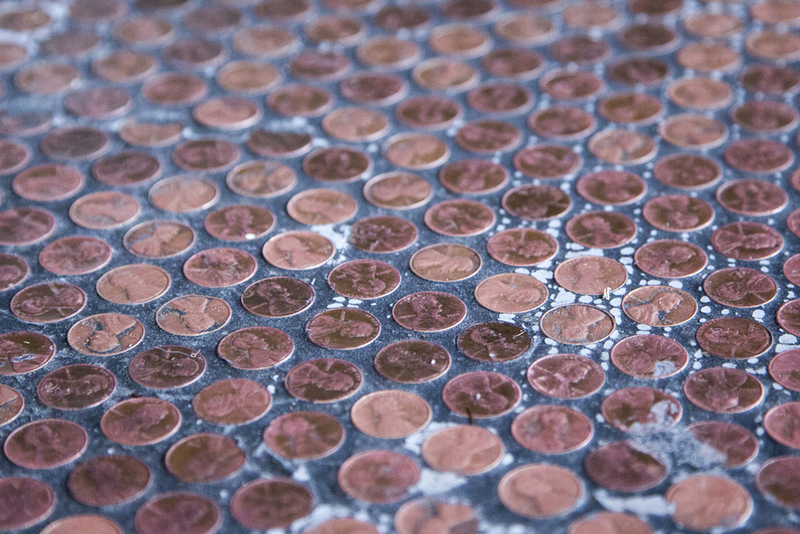 American penny tiles have been used to cover the floor around this central element. Used for the very first time in the Netherlands, these tiles outline the barrel shape in the centre on the floor and create a special atmosphere and vibe that contributes to the concept. 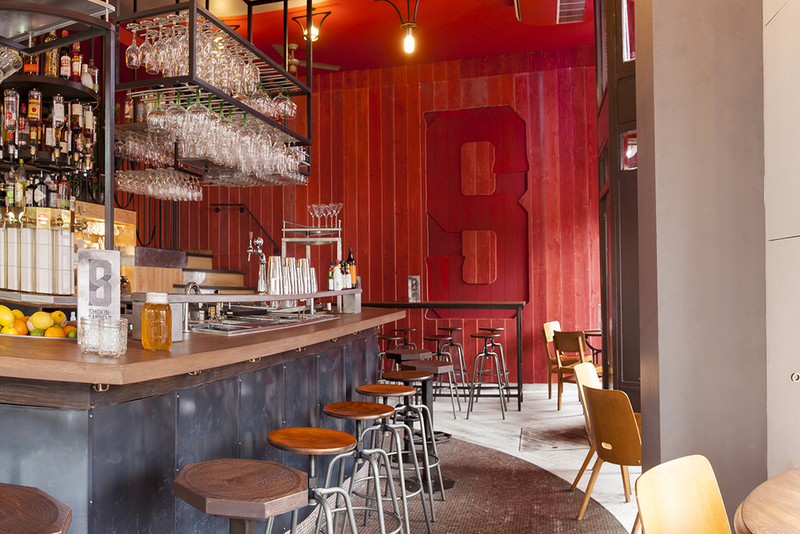 The SB logo rests covertly on the pained wooden wall of the bar; carved out of the wooden wall with different depths the S and the B over-lap and create misty shadows on the wall. All light fixtures and handrails are custom made and designed to compliment the interior with their curved shapes. The restaurant is designed as a gathering point for meeting friends and enjoying good food, there are seats for those coming in groups on the ground floor and upstairs there are tables for 2. The terrace space outside has long tables with benches, also suitable for large groups and gatherings.